WrestleMania 32 is just three short weeks away and, as you’d expect, the WWE superstars are slogging their guts in the gym so they can perform in peak condition. 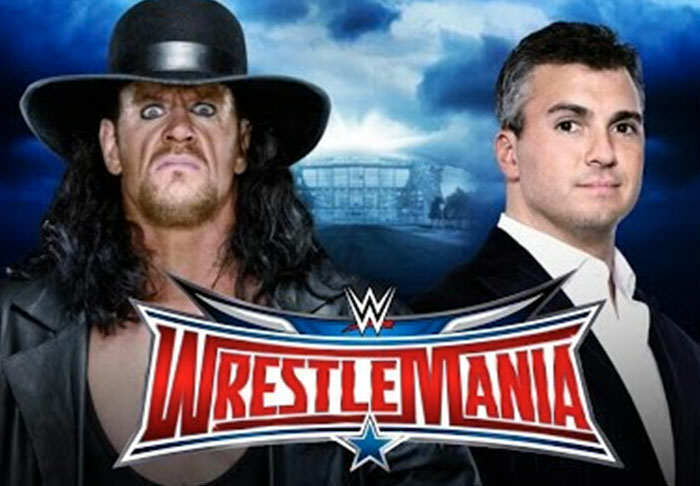 One of the most anticipated matches penciled in for April 3 is a Hell in a Cell fight between The Undertaker and Shane McMahon. Shane O’Mac is wrestling for control of Monday Night Raw, but if he loses, the storyline goes that he’ll be written out of Vince McMahon’s will and must surrender a sealed box of family secrets to the company’s CEO too. The bad news for Shane is that, despite having the advantage of age, Taker is probably fitter at 50 than Shane has ever been. 500lbs, that’s 227 kgs, moved almost effortlessly. With the battering his joints have taken in over 26 years with the WWE, box jumping over three feet is astounding.